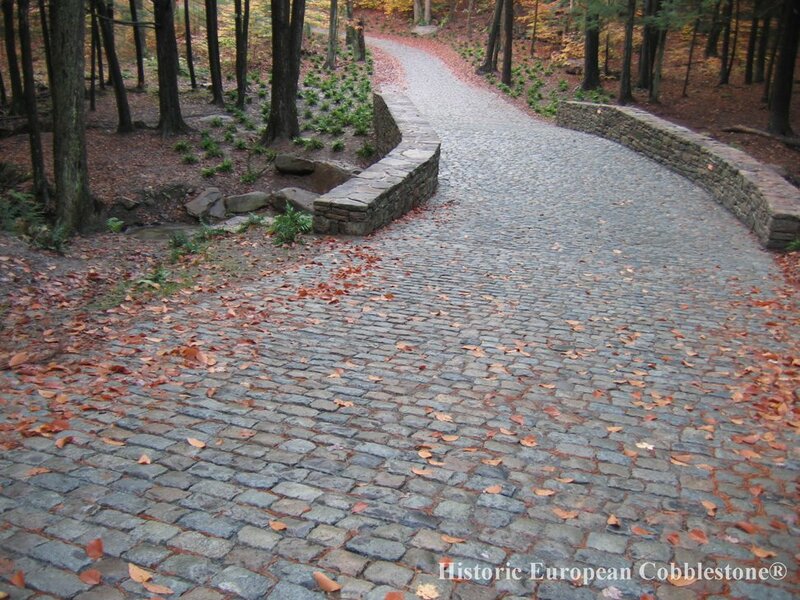 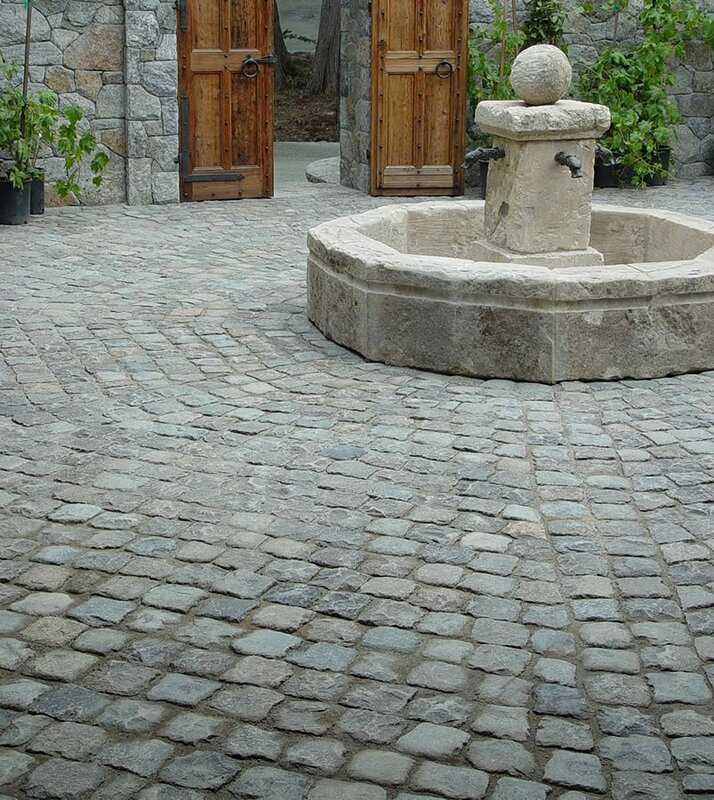 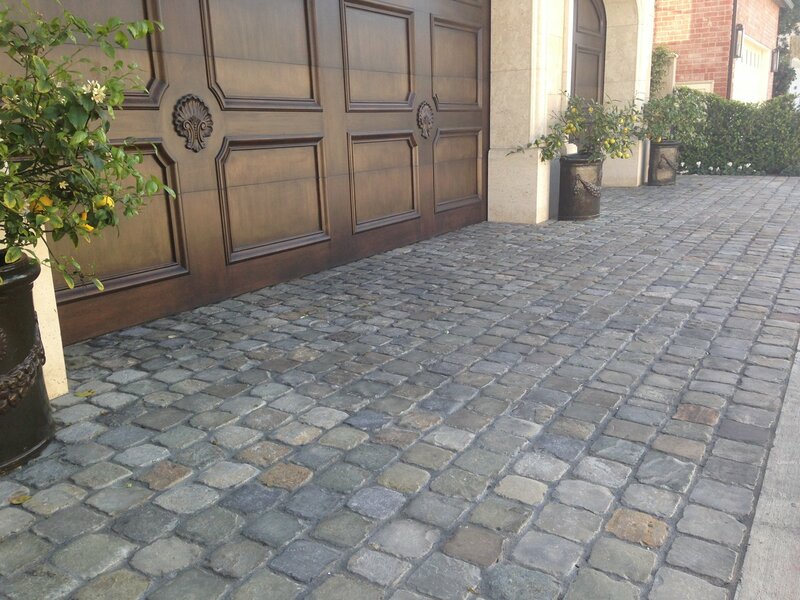 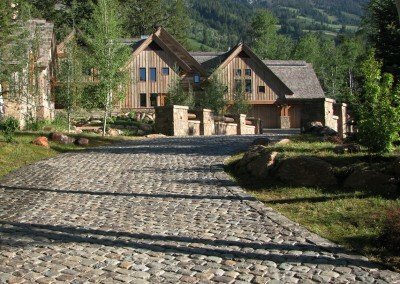 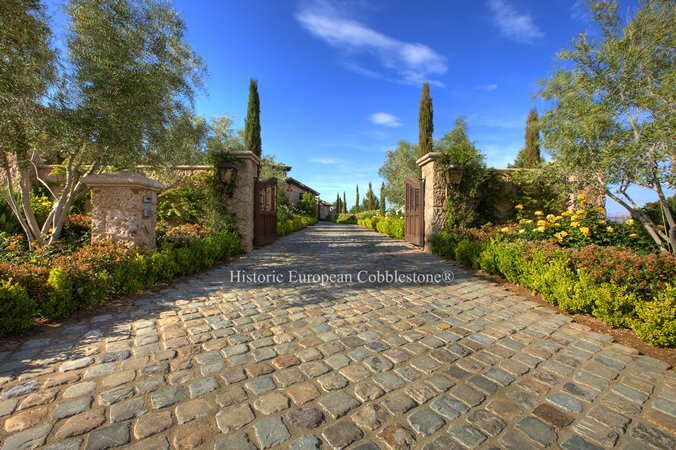 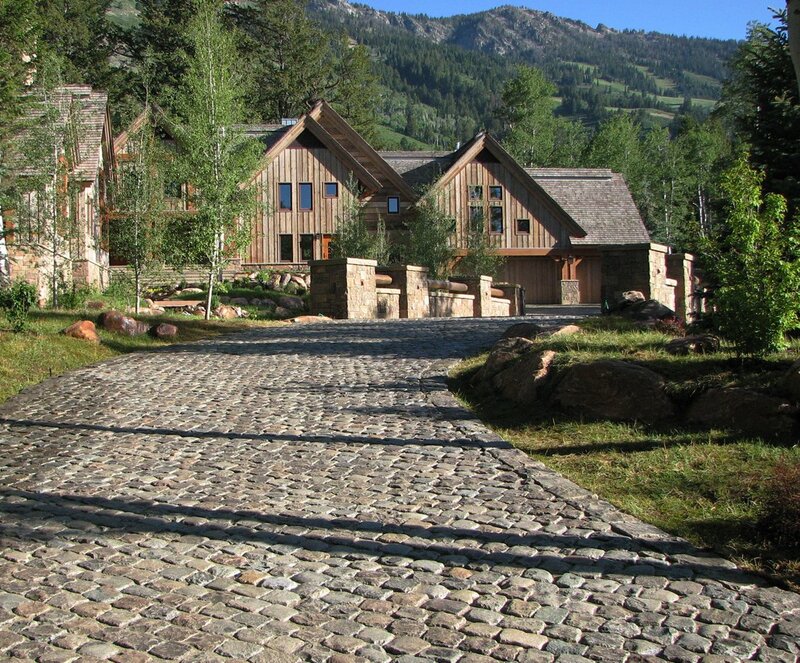 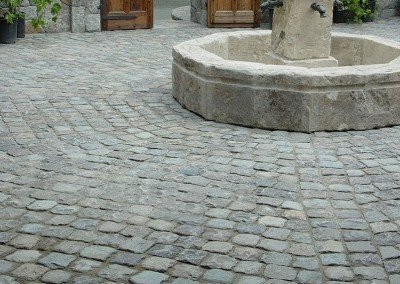 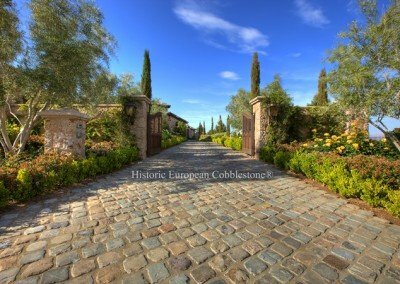 Historic European Cobblestone® is the largest authentic antique reclaimed cobblestone collection available, offering a wider variety of stone types and sizes than you’ll find anywhere else, including old charming curb – imported nationwide! 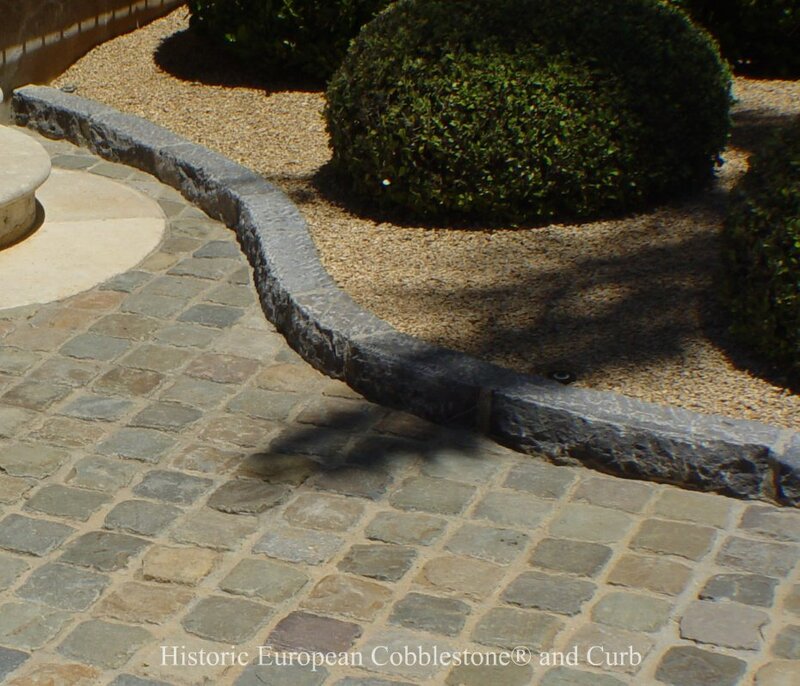 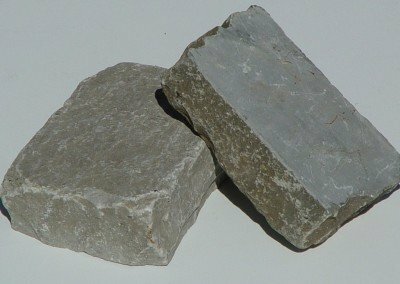 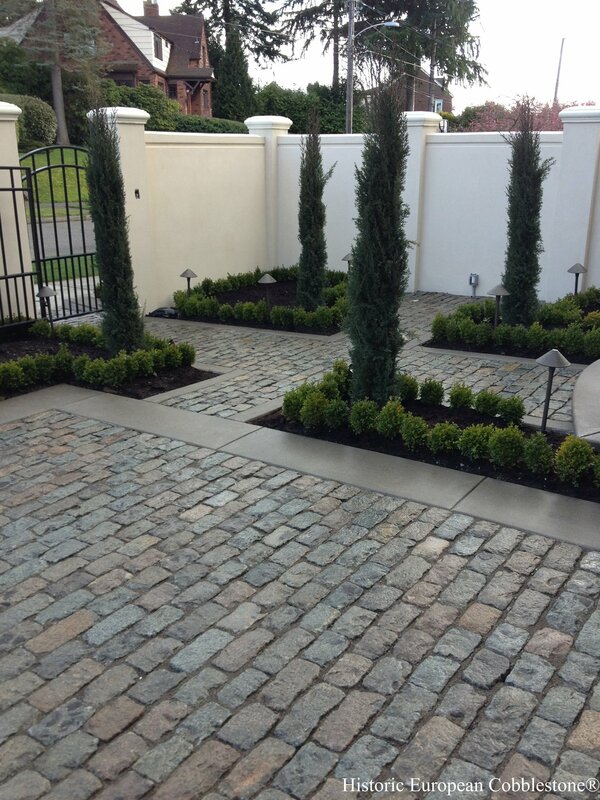 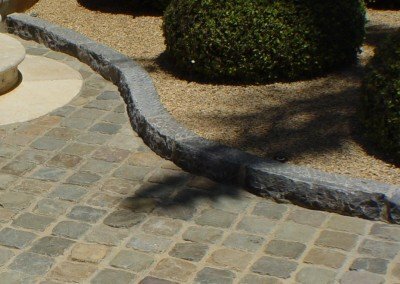 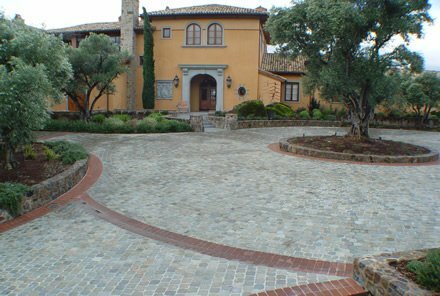 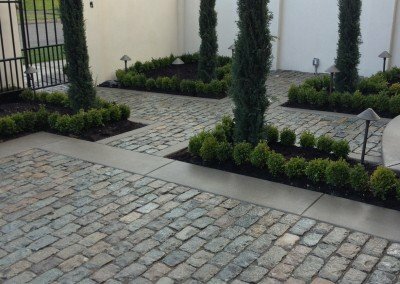 Classic European squares or rectangles in either granite or a very hard/dense European sandstone (appropriate for all freeze/thaw conditions) will create memorable driveways, walkways and patios. 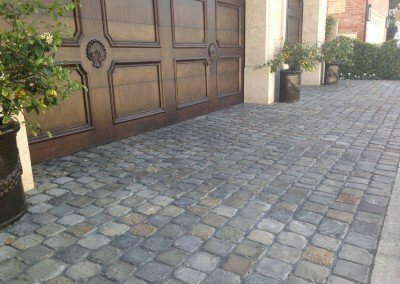 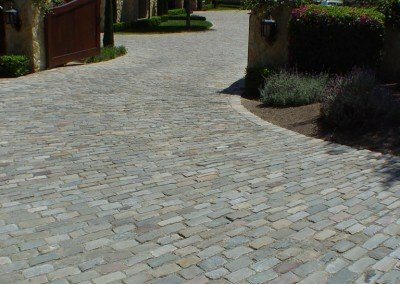 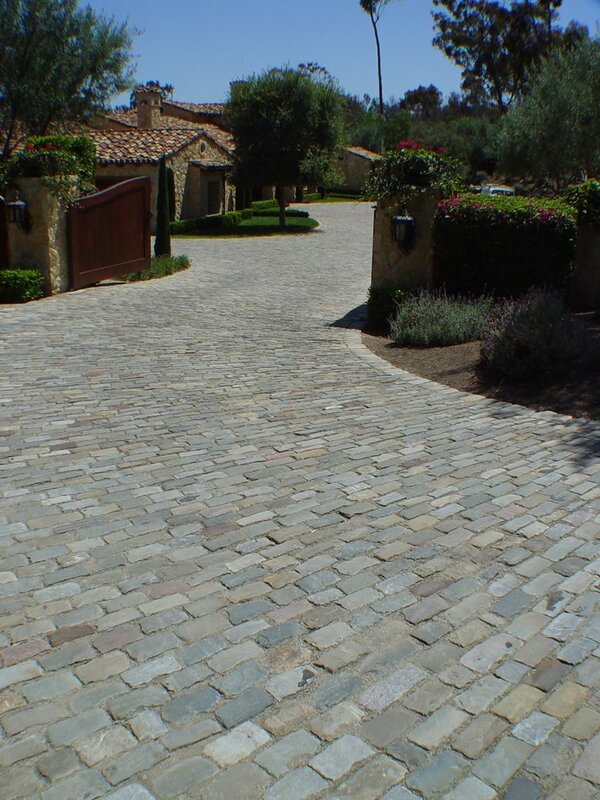 Originally harvested or quarried, hand trimmed and installed in village and city streets in Europe 100 to 400 years ago, the top surface reveals an impressive patina that is naturally worn after centuries of exposure to weather, foot traffic, horses and carriages.